Karl Friedrich Schinkel was an influential German architect and painter, renowned for his Romantic-Classical and medieval works that earned him the status of the pioneer arbiter of national aesthetic taste. 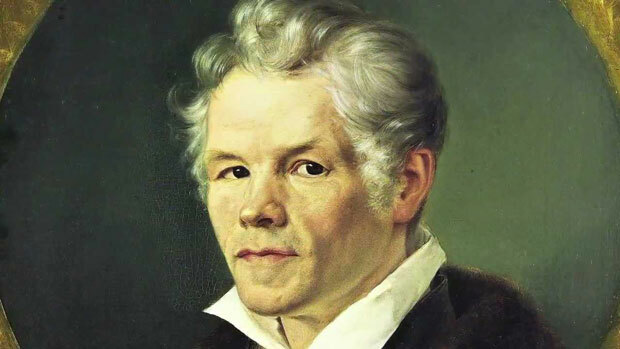 Karl Friedrich Schinkel was born on March 13, 1781, in Neuruppin, Berlin, to a renowned archdeacon. Karl began his infatuation with architecture after being influenced by the works of the notable architect Friedrich Gilly, and in 1798, he studied under the extremely beneficial and inspiring tutelage of Gilly for the next three years. In 1800, he enrolled at the Academy of Architecture in Berlin and studied there for the next two years. Upon completing his education, in 1803, he undertook a voyage to France, and later Italy and during this time he undertook extensive travels that served to enhance and inspire his aesthetic and architectural orientations. In 1805, he returned to Berlin and established his own practice as a painter, and soon, he garnered immense fame for his romantic landscapes and panoramas, particularly “Medieval City by the Water”, and his remarkably creative stage sets, such as “Magic Flute” for instance. In 1809, Queen Louise commissioned him to design furniture for her rooms in the Palace. Schinkel designed remarkably elegant pieces for the Queen, which were applauded and praised for their combinations of light and soothing colors and with their creative designs taken from the Classical era, these pieces were the earliest specimens of the revolutionary Biedermeier movement. In 1815, Schinkel was appointed as the state architect of Prussia, and King Frederick William III and other members of the Royal court commissioned him on the design and construction of several prestigious and remarkably large scale projects. In 1816, he was commissioned on his first major project, the Royal Guard House, or the Neue Wacht-Gebäude. This building firmly established Schinkel as a major architect, and firmly carved his names amongst the masters of Neo-Greek forms. His designs and buildings have played a vital and instrumental role in the revival of various iconic historical styles of architectural, for instance the revival of the Greek style is demonstrated on the remarkable Konigschauspelhaus constructed in Berlin in 1818, and later the Altes Museum, also in built in Berlin, in 1822. Similarly, he is also credited for some of the most incredible Gothic Revival designs found in Europe, including the Werdersche Kirche, constructed in Berlin, in 1821 and his designs for a mausoleum for Louise in 1819. In 1824, Karl decided to revisit Italy and for the next two years he conducted extensive travels to Scotland and England, finally returning to Berlin in 1826. The same year, he was commissioned on an extremely prestigious and influential project that garnered him immense fame, the Church of St. Nicholas in Potsdam. In 1839, he was appointed as the Director at the Prussian Office and Public Works, and soon after, he was commissioned for the interior decorations of the apartments for Crown Prince Friedrich Wilhelm and Prince August. In 1833, he designed the iconic Guard House in Dresden. Karl Friedrich Schinkel passed away on October 9, 1841.